PARIS (AP) – Emmanuel Macron’s honeymoon didn’t last long. Less than three months after his election, France’s energetic and image-conscious president has seen his popularity drop after announcing budget cuts, launching a divisive labor reform and engaging in a damaging dispute with the military. Macron’s image also has taken a hit during his standoff with the French military chief over budget cuts. Gen. Pierre De Villiers resigned and was quickly replaced, but some saw last month’s public dispute as evidence of the president’s authoritarian tendencies. Macron has promised to boost defense spending to 2 percent of gross domestic product by 2025 as part of France’s commitments to NATO, but the government announced a reduction of 870 million euros in military spending for this year. The government also launched the labor reforms that were central to Macron’s campaign promise to boost France’s lagging economy through pro-free market policies. Changes would include capping the potential financial penalties for companies sued for firing employees and giving businesses greater leeway to set workplace rules instead of relying on collective bargaining agreements. Labor unions and France’s far-left parties are fighting the reforms, saying they would weaken hard-won worker protections. Critics also resent the way Macron is trying to speed their approval. The government is invoking a special procedure to avoid a lengthy debate in parliament. 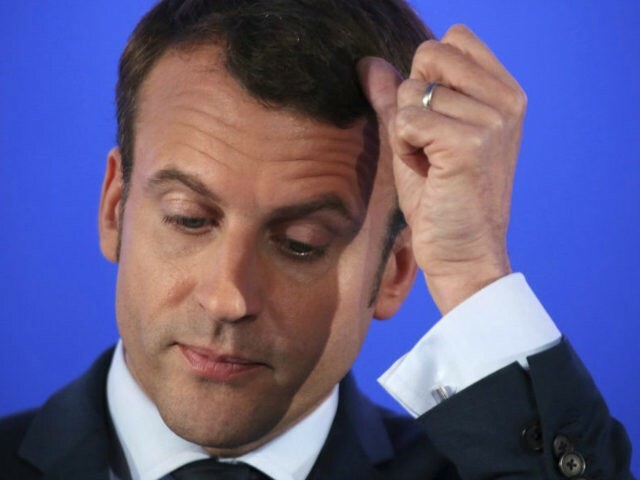 Daniel Fasquelle, a lawmaker from the conservative The Republicans party denounced Macron for what he called the “will to weaken all opposition” and for refusing to give interviews. Except for carefully choreographed photo opportunities, the president has distanced himself from the media. He canceled the traditional Bastille Day television interview. Government spokesman Christophe Castaner acknowledged that Macron has been standoffish with the press, but offered an alternative explanation. Macron is expected to return from his August vacation to a tough September, with unions and far-left parties calling for street protests against his proposed labor reforms.